This is Adam Wile, one of the co-founders of Distilled NY and the Director of Operations at the Tribeca restaurant. 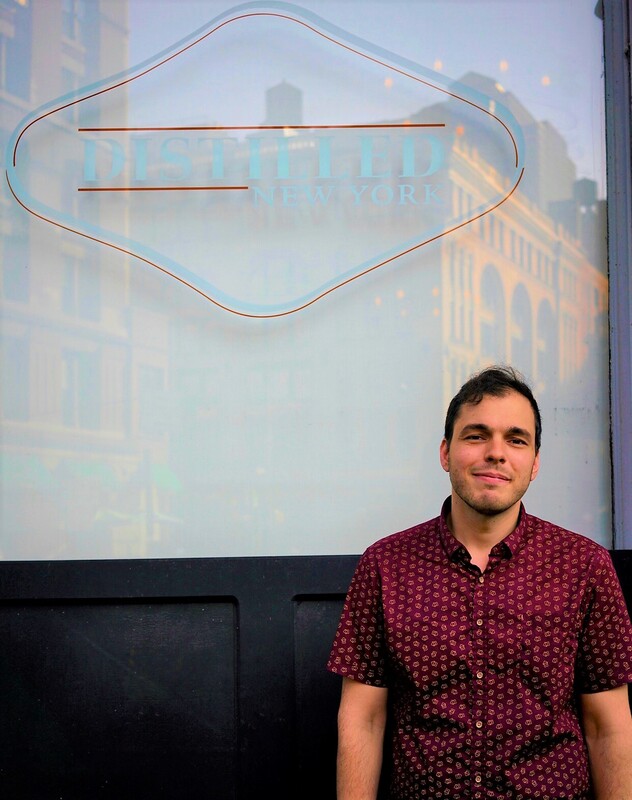 Distilled NY was the brainchild of CEO, Nick Iovacchini, and his cousin, Shane Lyons, who had spent years in the food industry and were ready to take a leap of faith and start their own restaurant. They wanted to “redefine the public house”, make every guest’s visit as enjoyable as possible and to create a place where you would feel surrounded by friends as soon as you walked in. So that’s exactly what they did. They reached out to friends who they knew had worked at other people’s restaurants and had an idea of how they could do it better, which is how Adam got involved. Adam started his food career cooking meals for himself as he was growing up but really found his love for it in college when he realized that he liked to feed his friends and see their reactions to the food that he made. After college, he was planning to go to law school but still had the idea of being a chef in his head. So, prompted by his father to make sure that he knew what he was getting himself into and that was confident in his choice, he spent the summer working in a kitchen. Although he knew nothing, got yelled at constantly and ruined a lot of dishes, he absolutely loved it and decided to pursue his dream. It was while he was working as a cook at Momofuku Noodle Bar that he met Shane Lyons and Noah Millrod, one of the other original founders, and they all became friends. So when Shane and Nick came up with the idea for Distilled NY in 2012, both Noah and Adam came on board. The group of friends immediately started raising capital and doing tastings to raise awareness about the business (they even did a pop up for Bravo TV, Top Chef Kitchen) but then Hurricane Sandy struck NYC and things got tough. They were flooded twice during the hurricane, the first time with 4 1/2 feet of water and 2 feet of water the second, causing them to have to move all of their kitchen equipment into their dining room and cutting a huge chunk out of their restaurant space. Rather than give up on the restaurant, they problem-solved and for the next few months during the holiday season, they operated as an event space to keep the business going and make sure that the lights stayed on. And it worked. In June 2013 they officially opened their restaurant and they focused on differentiating themselves by creating a menu that was the best version of the items that their customers were familiar with: burgers, wings, steak, even popcorn. They concentrated on making a dish different from what you might be used to eating but just as delicious and enjoyable. And they’ve succeeded the past 5 years by learning to listen to customers about what works and what doesn’t and by recognizing when it’s time to reinvent their menu. As Adam says they “gave it the old college try”, because none of them had opened their own place before Distilled NY. But this group of friends has created a space that’s exactly like what they envisioned: a comfortable place where you’re among friends; where you feel like you can just hang out and escape what’s going on in the outside world with some drinks, some laughs and some amazing food. And it’s not only due to their menu and their welcoming staff, it’s also due to the kitchen move that almost made them close their doors. The open kitchen and the general open layout of the restaurant makes it feel like you’re at a friend’s house and they’re throwing a dinner party where you can watch them cook from your seat. It’s a unique and memorable dining experience that has made Distilled NY a staple in their community and has also allowed a group of friends to accomplish what they set out to do: make people happy for a living. Previous Entry:Fall-ing in Love with Grain Bowls this Season! Next Entry:Fall Parties You Can Host at the Office!